There are over 250 million women in Asia who are illiterate. These women face many difficulties, such as failing to keep their children safe because they can’t read warning labels, debt piling up because they can’t understand the bad contracts they sign and being cheated in the market place because they can’t do basic math. Worst of all – they can’t read the life giving messages found in the Bible. Even if they want to read, there is no way to learn . . . until now. With your help, women in Asia can learn to read and will be equipped to tackle life’s hurdles. You can bring these poor women the hope found only in Jesus by teaching them to read. 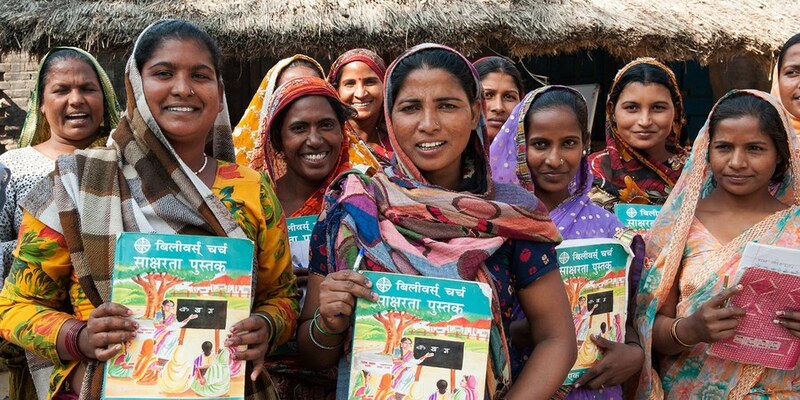 Your gift to the Gospel for Asia Women’s Literacy Fund will enable women to read and study God's Word on their own, protect their families and learn some of life's most basic lessons. One dollar teaches one woman to read. The literacy book is full of Scripture and moral lessons that women will embrace as they learn to read for the first time. Basic math skills are taught as women go through this course, so now they will get fair prices in the market places. These women are able to provide for their families in ways they couldn’t before: tutoring their children, protecting from harm, and teaching them God’s Word. Give today and help teach a woman in Asia to read. Another way to give is through a MyGFA campaign. This is a great way that you can raise funds for women's literacy! It gives you an opportunity to tell your friends and family about how the Good News is being shared.